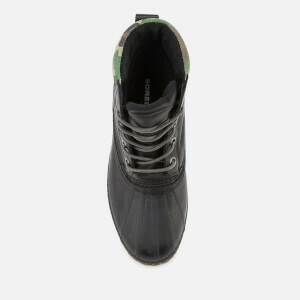 The ‘Cheyanne II’ lace up boots are designed to provide ultimate comfort and protection against the elements. 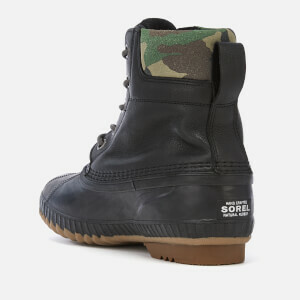 Crafted with durable, waterproof leather, the black boots are fully insulated to preserve warmth at temperatures as low as -25°F, and seam-sealed to keep feet dry. 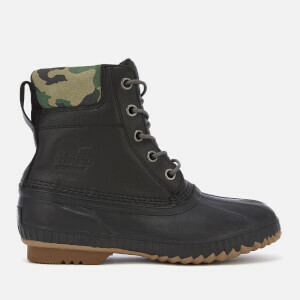 Tonal laces, a heel pull tab and a camo print collar all feature. An EVA insole offers cushioning and support with every step, whilst a vulcanised rubber sole ensures grip and stability. 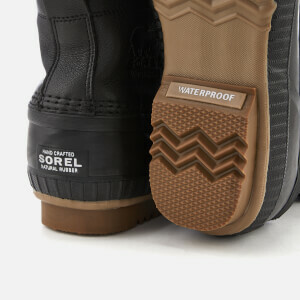 Embossed branding adds the finishing touch to the design.